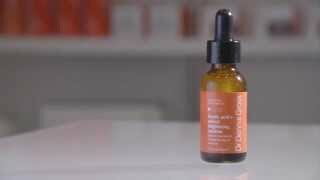 Repair wrinkles with a unique blend of antioxidants which makes retinol more moisturizing, more powerful, and less irritating. Why Is Ferulic Acid Important? Retinoids, including Retinol, are derivatives of vitamin A and an important part of the anti-aging arsenal. They stimulate the production of new skin cells and inhibit the body’s natural enzymes that break down collagen. They also help to fade dark spots. Retinol is the only non-prescription retinoid and what I use in the Ferulic Acid + Retinol line. I have found the ingredient to address any aging concern and leaving skin looking brighter, fresher and younger. 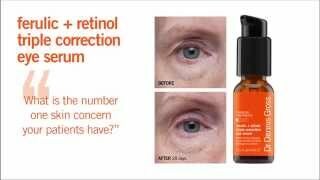 I found a way to make Retinol perform even better by adding Ferulic Acid. The combination helps both ingredients penetrate the skin more effectively while releasing active ingredients quickly and evenly. Combining Retinol with Ferulic Acid also drastically reduces sun sensitivity, which is why the majority of the Ferulic Acid + Retinol line can be worn AM/PM.